I like the Thanksgiving meal so much that I skip dessert. I see no need to skimp on turkey, mashed potatoes, and stuffing smothered in gravy just so I can have a slice of pie. I'm well aware that this makes me very weird in most people's eyes. Brett is on call this weekend. Wouldn't you know that as soon as we got to my mom's house yesterday his phone rang. Thankfully it was a quick job and he was back in time for dinner. I skipped on the Black Friday shopping for the most part this year. I did go to Michael's this morning since I needed a new Christmas tree topper and my husband wanted to look for something new for the lawn. I let the kids pick the tree topper, Mark voted for the Santa hat while the girls voted for the star. Sorry Marky, the girls get to win this round. Brett allowed the kids to pick out the new lawn decoration. Big Surprise, they picked out some lighted candy canes. They are a little obsessed with candy canes. We also went to Target since Mark starts preschool on Monday and he needs a backpack. He is so excited to go to school! 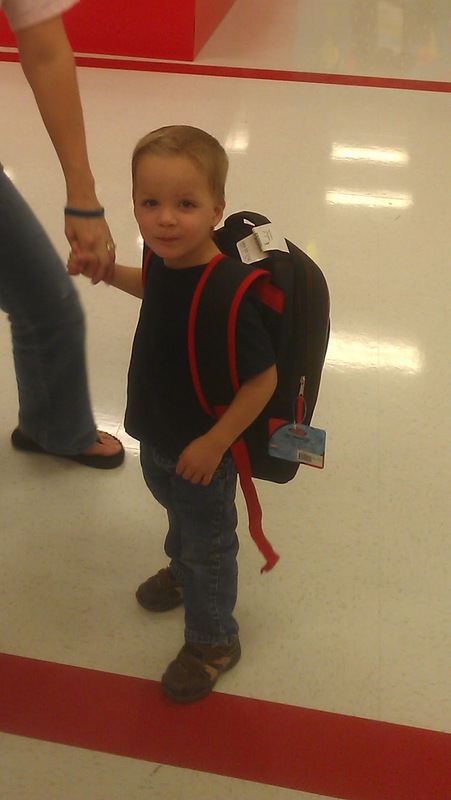 It was adorable watching him pick out his backpack. And he refused to put it in the cart so he wore it all through the store. Molly doesn't understand why she can't go to preschool too. I'm having a hard time coming up with a way that she could understand it. I decided to try to sell it that she gets special alone time with mommy. I think it's working, we'll see on Tuesday when she's alone with me. On Wednesday we had the results appointment with Mark's neurologist. We were so happy when the doctor told us that the genetic testing was normal and that the EEG was clear. It was a big relief and it made Thanksgiving that much better. 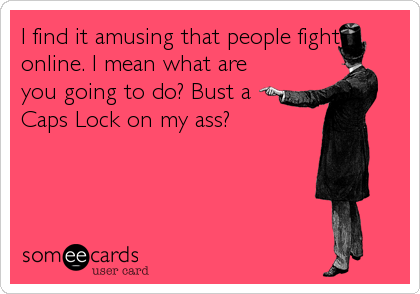 I find it interesting that people fight over social media. I read a blog post that a friend wrote this week and by the fourth comment she was called a racist. The interesting part was that race was never mentioned and the author is anonymous so no one (but me who knows her in real life) knows her race. In 5 hours her post had 4 people fighting back in fourth in the comments. They were calling each other nasty names and accusing people of all kinds of things. I laughed at the absurd comments and left the post. I'm not going to fight online that's just a little too ridiculous even for me.